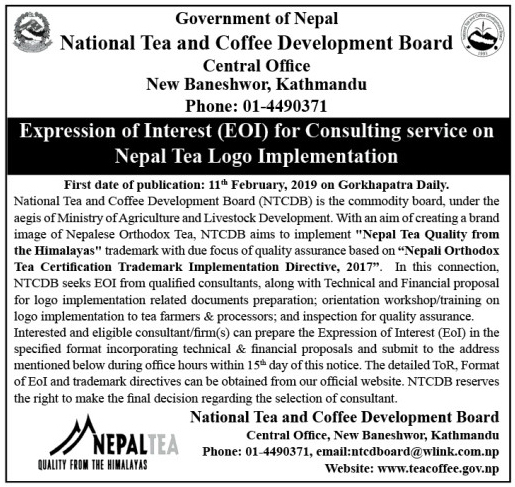 Interested and eligible consultant/firm(s) can prepare the Expression of Interest (EoI) in the specified format incorporating technical & financial proposals (to be submitted in separate envelopes) and submit the sealed documents to the address mentioned below during office hours within 15th day of this notice. The detailed ToR, Format of EoI and trademark directives can be obtained from the links below. NTCDB reserves the right to make the final decision regarding the selection of consultant.